Online poker has exploded in popularity over the past decade, with its many various forms proving to be a smash not only in Australia, but in countries all around the globe, especially when it comes to multi-table tournaments. The fact that, in essence, poker is a game of skill, fought out on an even playing field against other players – instead of against the house like all other casino games, where odds-wise you are basically on a hiding to nothing from the outset – means that it is more like a sport than simply a game of chance, which makes it easy to see why it is so popular worldwide. Along with offering a host of traditional cash games – where a player’s chips are worth exactly the amount he/she has invested when buying in – and single table tournaments (known as sit and go tournaments), highly reputable poker sites such as 888 Poker (think Warnie), Poker Stars (think Aussie WSOP winner Joe Hachem) and Full Tilt Poker also have a massive range of multi-table tournaments (MTTs) on offer. The ‘big daddy’ of poker, NL Hold’em really does stand out above the rest in the popularity stakes. The ability for a player to push all-in at any given time, makes this undoubtedly the most pulsating card game on earth, and why its biggest televised tournament – the World Series of Poker (held annually in Las Vegas) – is a major player in the ratings, not just in the US, but in dozens of countries worldwide. There are so many big money MTTs for NL Hold’em out there, but two of the very biggest and best are Poker Stars’ Sunday Million and 888’s The Mega Deep Tournament. Both have a buy-in of $215, along with a starting chip stack of 10,000 and long blind levels, with the Sunday Million guaranteeing at least a $1,000,000 prize pool, while The Mega Deep Tournament guarantees a minimum of $100,000. There is literally only one difference rules-wise between No Limit Hold’em and Fixed Limit Hold’em, and – as you might have guessed – it’s all in the name. Unlike NL, FL players are restricted from betting or raising above the amount of the big blind, which – to a large extent – eliminates bluffing as a strategy, forcing players to use more subtle forms of trickery to succeed. You won’t find the same kind of big money action as you will with NL MTTs, when looking for Fixed Limit Hold ‘em MTTs, but there are still plenty of regular FL games out there to choose from. For those not familiar with Omaha, it is an interesting variation on Texas Hold’em, with players dealt four hole cards instead of two, but needing to use at least two or more of those hole cards to make a hand with three or less of the five community cards. More popular than either Fixed or Pot Limit Hold’em, Omaha is played on all major poker sites and the buy-ins for its MTTs usually fall in the low-mid range. 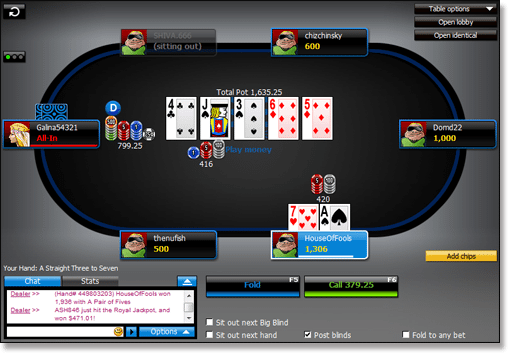 The ‘Hi’ portion of this game is exactly the same as standard Omaha, but in addition to making a high hand, players also need to use their cards to make a separate low hand, meaning each pot is split between the winner of the high and low hands – providing there was a qualified low hand – which could theoretically be the same player. In order to qualify for a low hand, a player must have a high card of no greater than eight, with three of the five community cards also needing to be eight or lower. Although this form of poker does not have anywhere near the same following as No Limit Texas Hold ‘em, there is still always a mix of fixed limit, pot limit and no limit Omaha Hi/Low Split MTTs available at online poker outlets. How much, or how little cash a player chooses to invest in an online MTT is entirely up to them, as all of the big three poker sites offer tournaments to cater for every budget, from less than $1 and up to several hundred AUD. Poker Stars actually offers an on-demand, 360-player No Limit Texas Hold ‘em tournament with a 10c buy-in, which is very popular with less serious players, and also with those who stubbornly want to exhaust every last cent of their account balance before making another minimum deposit of $10. However, winning one of these tournaments is certainly not going to make you rich, as the payout for first place is just $8.50. And if you’d rather not devote any of your own money towards a buy-in, then there is always a selection of ‘freeroll’ and FFP (frequent player points) tournaments available. Freeroll tournaments are open for any player with absolutely no buy-in, however players that are knocked out of these tournaments have the right to re-buy back into them with a fresh chip stack, which is how the prize pool for freeroll games is generated. FFP tournaments allow players to use the loyalty rewards points they have gained with a certain site as a buy-in, usually into what is called a ‘satellite’ game, meaning the prize pool is made up of free entry spots into a large, regular real money tournament on the same site. When FFPs do offer cash prizes, then it’s generally only a few dollars or so. And for those on the go, buy-ins, deposits and cash-outs can also be done on your phone or tablet. All you have to do is download the corresponding app (read our 888 mobile poker review) and you can start playing your favourite online poker MTT on your mobile device. Alternatively, download the dedicated 888 mobile poker app for the Android OS and the iOS platform by tapping the 888 button (iPhone and iPad users play through the app via their Web browsers). For starters, depending on where you live in Australia, it isn’t always easy to find regular live poker venues. And if you do find one that’s local to you, you can bet you won’t have much choice in terms of the type of poker on offer – most Aussie pubs and clubs almost exclusively offer No Limit Texas Hold ‘em – let alone buy-in amounts, or table sizes. Then there’s the speed factor. Playing tournaments online can mean multiple hands per minute, especially in ‘turbo’ formats. Whereas playing at a live venue with a tangible deck of cards, means someone has to manually shuffle them before each hand, and – unless you’re at a casino, where a professional dealer is always provided for each table – this is usually done in turns around the table by the players themselves, meaning not only is it an unnecessary hassle for each individual player, but the game moves along at a relative snail’s pace as a result. Another big advantage of playing MTTs online is that with a click or two of the mouse you can see exactly where you stand in terms of chip position and how many players remain in the tournament. This is especially handy when you’re approaching the prize-money or ‘cash’ positions, as this knowledge can significantly affect your strategy at that stage of the game. But perhaps the best part about playing poker online is that you can play in multiple tournaments at once, meaning you not only have the chance to maximise your real money earnings, but also that you can avoid the boredom of sitting around waiting for your turn to act. Playing multiple tournaments at once – especially when it’s more than two – is a challenge though, and generally not something that beginners should mess around with. So, whether you’re a novice in the online poker world, or a seasoned pro, you’re bound to find the perfect online multi-table tournament to suit your needs at any of the best poker sites including 888, Poker Stars and Full Tilt. 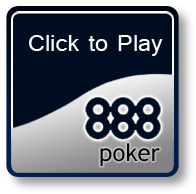 888 offers both an instant play and software download option, so they are our number one choice for Internet poker. For RNG poker games, we recommend checking out Raging Bull Casino, our top-rated casino site for players from United States which offers several computerised poker games and other casino classics.